Each page on the above menu will take you to the dogs needing homes links. Please contact the rescue/owner about any dog you are interested in. Kindly mention you have seen them on this website. 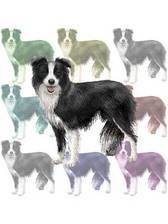 Hope you find your new collie soul mate here. Micro-chipping is not considered sufficient. Failure to comply with this law could result in a fine of up to £5,000. The owner and manager of this site cannot be held responsible for the description/ health or behaviour of any dog adopted from any rescue or private person listed on this site. It is entirely up to each person adopting a dog to decide if the dog is suitable for their home/environment.